Human beings will always be explorers. 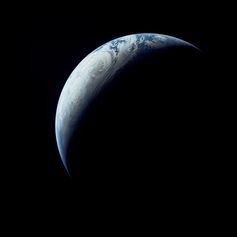 We’ve pretty well surveyed our planet, our tiny blue dot, for answers and only found more questions. Why are we here? How did we get here? What does it mean? We’ve already taken baby steps out into the solar system. But cheap, affordable space travel would be revolutionary, heralding in technologies we haven’t even yet imagined. Social and economic changes introduced by the internet would pale in comparison. But here’s the thing: we won’t be heading to the stars in a rocket. Rockets are a terrible way of getting to space. There’s a saying in orbital mechanics: getting to orbit is halfway to anywhere. Orbit is the easiest way of going permanently to space. It’s a big first step on the way to leaving the gravity of earth behind. Being in orbit means you are balanced – between gravity pulling you down and your own momentum flinging you into outer space. You stay at the same height going round the Earth because you’re moving forward so fast that the Earth drops away below you at the same speed you fall into it. Slowing down a little returns you to the surly bonds of gravity. But speed up just a little and you can leave earth all together. Orbit is the gateway to the solar system, the galaxy, the universe. Unfortunately, this gateway happens to be about 100 miles off the floor and moving at about 20,000 mph. Going to orbit in a rocket is the equivalent of deciding you want to travel from the US to the UK, climbing into a catapult, and firing yourself across the Atlantic. Except the catapult cost hundreds of millions of dollars and explodes after you use it once. 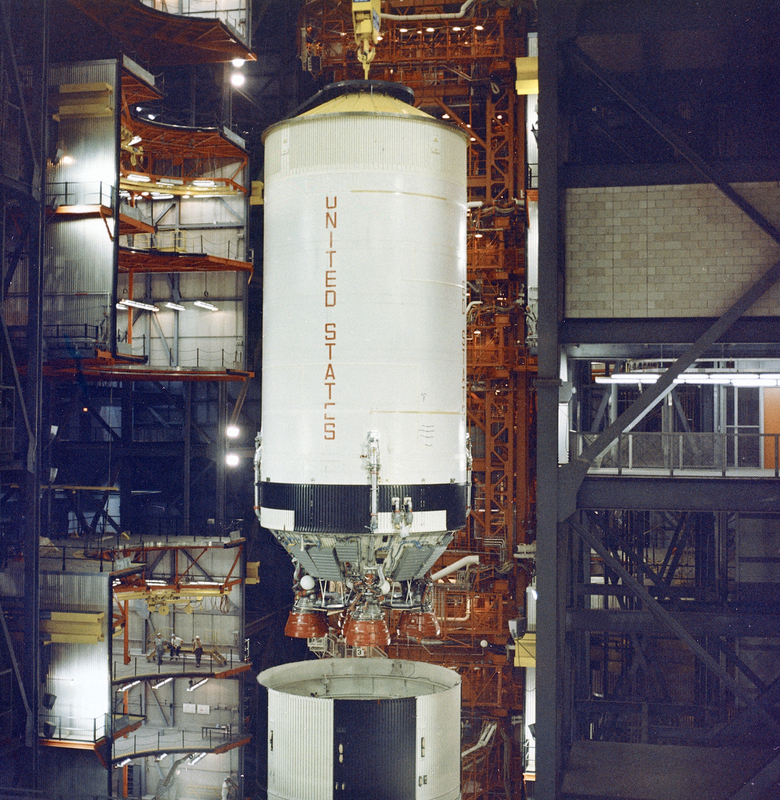 Essentially a rocket is a brute force approach. You point it in the direction you want to go and then rapidly release a load of energy under it (explode your fuel with oxygen) until the force from the explosion pushes the rocket up. This is very inefficient. Along with their fuel, rockets must also carry all the oxygen they need to burn it. Being so inefficient means that the only way to get all your cargo to the height and speed you need via rocket is to jettison the empty fuel tanks as soon as they run dry. For this very reason, rockets are staged; that is, split into sections. When one section runs out of fuel, you can drop the weight of its empty container. Very little of the rocket actually makes it to orbit, with most of the parts either crashed, burnt, or floating aimlessly in space. You can’t reuse it because you can barely get it there, let alone get it back. Despite popular conceptions of rocket science, a rocket isn’t really any more complex or expensive than a modern transatlantic jet. 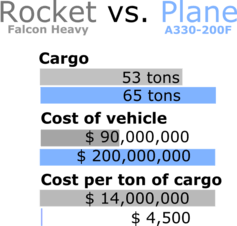 Let’s make a comparison between an airplane (A330-200F) and a rocket (Falcon Heavy). Both carry similar amounts of cargo, both cost a relatively similar amount to build. But the price of moving a ton is clearly very different depending on which mode you choose. A plane gets used thousands of times, so the cost can be split over multiple flights. 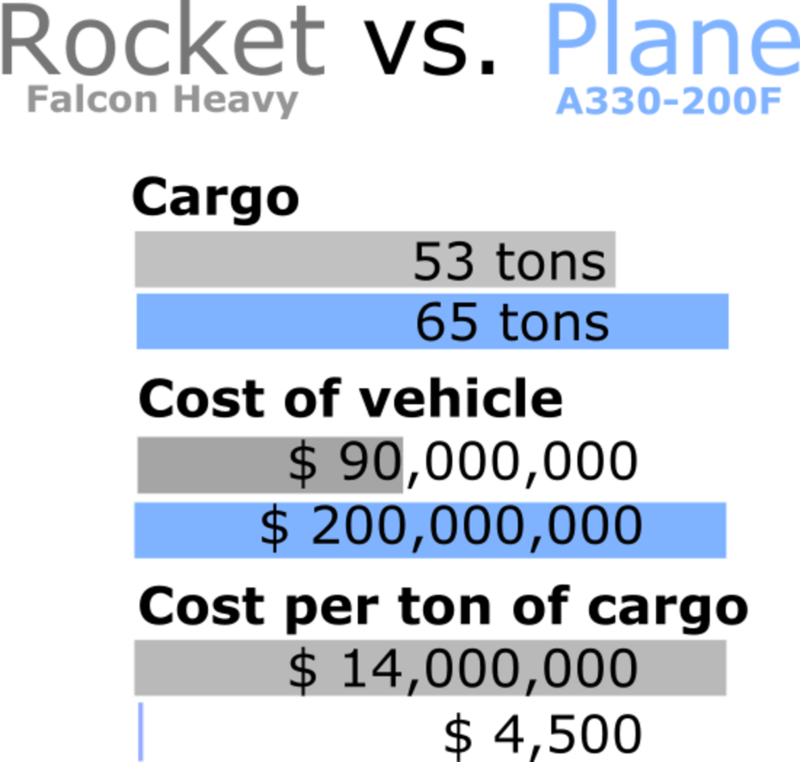 Clearly, moving things to space would be much cheaper in a plane. The problem is you can’t fly a plane to space. Planes, like anything else that flies, have wings. Wings are very efficient at turning energy into lift; you move the wing forward and it pushes air down, lifting the wing up. But wings (and planes) need air to fly and there’s no air in space. This is, of course, what makes a rocket special. Going to orbit (and beyond) requires that you fly very high and very fast in a place with no air – something only rockets can do. Recently, private space technology company SpaceX started working on reusable landing boosters in order to reduce the cost of each flight. Essentially, you design the parts you’d normally just drop to have enough fuel left in them that they can land back on the launch pad. But even if you manage to land the booster stage, it’s going to need a very expensive inspection before it can be flown again. Rockets tread a fine line between flying and exploding. It’s hard enough to get them to work just once, let alone tens or maybe hundreds of times. Rockets just aren’t going to take humanity to the stars, in the same way no one crosses the Atlantic in a catapult. We need a space-plane hybrid of sorts – a reusable vehicle designed for many journeys. As luck would have it, there might soon be just such a vehicle. 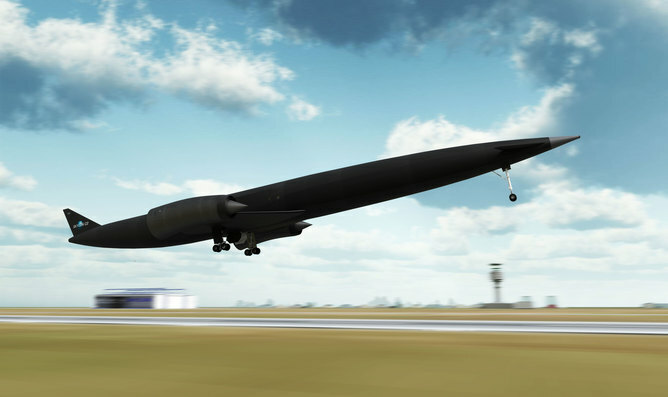 A UK company called Reaction Engines is working on what it calls the SKYLON spaceplane. They say it will be reusable up to 200 times and can move 15 tons of cargo to low earth orbit, all for the low, low cost of about US$100,000 a ton. For perspective, it would come to about $10,000 per person, by weight. That’s in the ballpark of a first-class, same-day, one-way ticket from New York to London, except – you know – to space and back. The SKYLON project relies on the development of its SABRE engine. 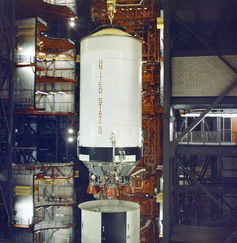 The unique engine functions as either a plane engine or a rocket engine. The vehicle can take off from a runway like a plane (efficient) and fly as high and as fast as possible. Then the SKYLON plane switches its engines into rocket mode for the rest of its journey. The design shows enough promise that the European Space Agency and the UK Space Agency both recently invested in the concept. The company claims test flights could happen by 2019. Being more efficient means that it is possible to get all of your spacecraft and some cargo to orbit and back without having to jettison anything along the way. Being able to land the whole vehicle means you can use it again, allowing you to spread the cost of building it over many flights, just like a plane. On the face of it, this kind of technology might seem like just an incremental improvement. But in reality, it could change the world. Each year about three billion passenger trips are made and 50 million tons of cargo are shipped via airplane. At this moment, there are around 10,000 aircraft flying globally. Odds are good that there are zero rockets flying now, as only 92 rockets launched globally in 2014. Imagine a world where, annually, billions of space trips are made and millions of tons of cargo move up and down. Opening up access to the stars to all of humanity will be a massive change for our species. We have no idea what technologies would follow, but leaving this planet is likely our only chance of saving it. More than that, exploring what’s out there brings with it huge questions. What if there is life in every corner of our solar system? What does that mean for us, for religion, for our very definition of what it means to be human, to be alive? It’s the SKYLON project and others like it that are going to get us closer to whatever answers are in the stars.